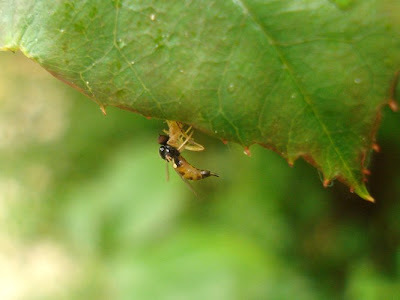 Warning: There are pictures below that may be creepy to some people (there are some of aphids being eaten). 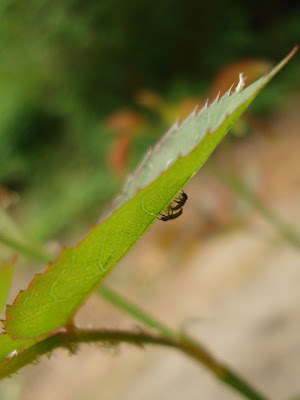 It's been very difficult for me seeing the aphids on our rose bush and leaving them there. 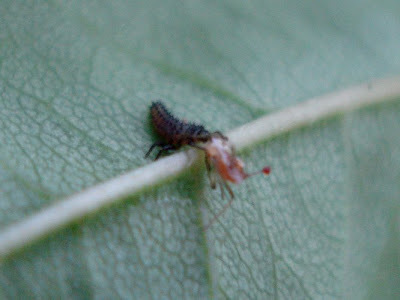 But we had read that ladybug eggs are often laid near aphid colonies, and we knew the ladybugs would soon need them for food after they hatched and ate the eggs they hatched from (plus, we want to encourage an ecological balance in our yard), so we left the aphids on the bush. The time I have been waiting for, though, has arrived! The ladybugs are HUNGRY! And the aphid population near them is declining. 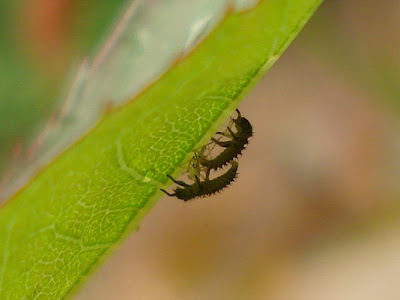 Having eaten the eggs they hatched from, the ladybugs ventured out, walking around the rosebush leaves nearby where they hatched searching for and eating (mostly) baby aphids (it looks like some of the ladybugs are already going after larger aphids, too). It's a time of mixed feelings in our family. My younger daughter feels sad that they eat the aphids. My older son feels both glad and sad -- sad for the aphids but glad to watch this example of the design in nature where each animal plays an important role. You can probably guess my feelings. I'm trying to balance wanting to support my daughter and her tender heart and expressing the gratefulness I feel for the ladybugs and their appetite. 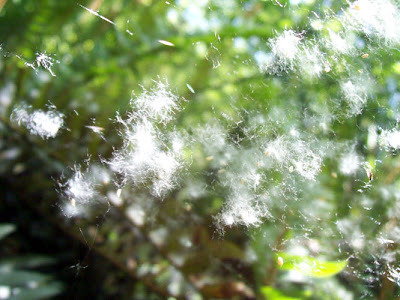 Here are some pictures that were taken on 6 June 09. My son took this first picture. It's a little blurry (our camera auto-focuses, and it can be frustratingly hard to get it to focus right sometimes), but he captured such an amazing scene that I wanted to post it. 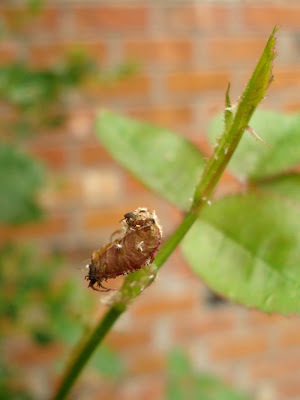 I'm including this one so you can get an idea of their size by comparing them visually with the size of the rose leaf. There are two ladybugs in this picture. Can you spot them? You're right, I do like this post! I found another method of aphid control as well, deer! They ate the tops off of my dogwoods, and all of the aphids that were living there are now gone. Will try to post more soon! We Saw the White Rabbit Again!